Vocalist Bruno Mars has announced a July 21 stop in Seattle for The Moonshine Jungle World Tour. Singer Bruno Mars has announced a Seattle date for The Moonshine Jungle World Tour. Mars, who performed on this year’s Grammy telecast with Sting and Rihanna, currently has two Top 10 singles, “When I was Your Man” and ‘Locked Out of Heaven,” from his album “Unorthodox Jukebox.” Mars won a 2010 Grammy for his song “Just the Way You Are.” He performs July 21 at KeyArena, on the Seattle Center campus. Tickets have not yet been put on sale. 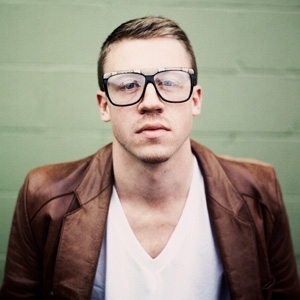 Seattle rapper Macklemore has come forward to address backlash and hate fired his way after taking part in last weekend’s NBA All-Star Weekend festivities with a promotional video. Seattle Public Schools wants to preserve the five large murals of Native Americans painted on the Wilson-Pacific campus, which is scheduled for demolition. But the artist says he no longer wants to give the district his permission. Two side-by-side portraits of Chief Seattle and Chief Joseph can be seen for blocks around North Seattle’s Wilson-Pacific school, an aging set of buildings now used for offices and programs, including one that historically has served Native American students. 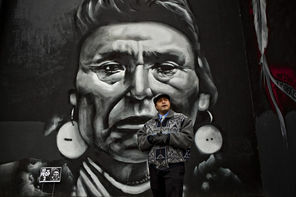 Painted in black, white and gray, the murals each soar 25 feet high, with Chief Seattle, in his older years, sitting in a chair looking off to one side, and Chief Joseph, in his prime, staring straight ahead. Andrew Morrison, an artist who grew up in the Seattle area, painted the murals and three others on the Wilson-Pacific campus over a period of about seven years, populating the school’s dull, beige walls with images of friends, acquaintances and a Haida mythical figure along with the two iconic chiefs. The murals have become a touchstone for the surrounding Licton Springs neighborhood and the Native American community in Seattle, which has strong ties to the area because of the Native American programs at the school and nearby Licton Springs, once a tribal gathering place. Now the murals’ fate is in limbo, as Seattle Public Schools, with the passage of a capital levy earlier this month, plans to tear down Wilson-Pacific and replace it with two new schools. District officials hope to preserve all five murals by taking digital photographs of them, then reproducing them at the new school buildings. They have asked for Morrison’s permission and offered to pay the costs and give Morrison a seat on the school’s design committee, which would decide where the reproductions would be placed. Travel + Leisure magazine has ranked Seattle No. 1 techiest city in America. Seattle’s “plentiful Wi-Fi” and “tech-savvy locals” won it first place on the list of 20 major cities, ranked in order of “techiness.” The magazine says other factors, including Seattle’s technology supergiants — Amazon, Microsoft, and Nintendo — combined with its reliable wireless coverage, helped push it to first. San Francisco, Calif., came in second on the list, followed by Austin, Texas and Portland, Ore.
Washington, D.C. and Las Vegas, Nev., rounded out last place. Put on your suit and tie: Justin Timberlake and Jay-Z are hitting the road together. The performers announced Friday that they’ll embark on a 12-city stadium tour that will kick off July 17 in Toronto. “Legends of the Summer” will wrap up Aug. 16 in Miami. Stops on the tour also include New York, Los Angeles, Chicago, Philadelphia and Boston, but not Seattle. However, their schedule includes a July 31 appearance in Vancouver, B.C., at BC Place Stadium. Jay-Z is featured on Timberlake’s comeback single, “Suit & Tie.” Timberlake’s new album, “The 20/20 Experience,” will be released March 19. 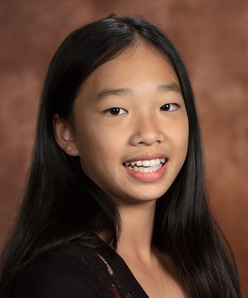 Jessica Chin, 12, of Seattle was named one of Washington’s top two youth volunteers of 2013 on Feb. 5 by The Prudential Spirit of Community Awards, a nationwide program honoring young people for outstanding acts of volunteerism. Jessica, a seventh-grader at Seattle Country Day School, has worked for several years with her family at a facility that provides free children’s clothing and supplies to homeless families. She also raises money and takes care of dogs and cats for the local Humane Society. To support her local Humane Society chapter, Jessica has donated over $600 by participating in two fundraising walks and persuading family members to walk with her. As a State Honoree, Jessica will receive $1,000, an engraved silver medallion, and an all expense paid trip in early May to Washington, D.C. I was able to interview one of my fellow friend that has took interset in becoming a DJ. He is very talented and does a great job at what he does. He became a DJ the summer of 2011, his older sister’s boyfriend is a DJ as well and he taught Gabriel (also known as DJBeats) everything there is to know about being a DJ. He mostly pefroms at clubs, and the fan’s seems to love is music, they are always dancing and no one has ever complained. He stated, “It feels good making the crowd pumped.” Five years from now he does see himself still being a DJ, he has no plan on giving his dream up anytime soon. He would love to pefrom for anyone that is throwing a party that is in need of a DJ. All you have to do is send him a email at DJBEATS427@gmail.com and let him know the information. He also has a fan page that anyone and everyone can like www.facebook.com/DJBeats427 . As i get to know more people around Seattle i start to realize how much people are alike. Just in the little group I’m always around all they talk about is music and raps. I feel like this generation is mostly set on rap career’s and becoming a rap star, than becoming a doctor or a fire fighter. I’m not saying that’s a wrong thing, you can become whatever you dream. I’m just noticing the more and more i find different friends and are around different people the more i realize how many teenagers are wanting to become rappers. I honestly enjoy listening to the music my friends make, i have some of their songs on my phone and computer, i am always willing to help support their dreams and help get their name out their so other people can enjoy some music to. So if you have a friend or friends that are getting into making their own beats, or raps, help them out. Share their songs on one of your pages, help them get known. The Seattle Symphony will perform a free Community Concert this month as, part of the Orchestra’s ongoing commitment to provide free opportunities for West Seattle to experience the transformational and inspiring impact of live music. The program, while sure to delight symphony fans of all ages, should have special appeal to youngsters. The evening concert will take place at West Seattle’s Chief Sealth International High School, 2600 SW Thistle St. at 7:30 pm on February 26. Ample parking is available onsite. Admission to the Community Concert is free and tickets are not required. Assistant Conductor Stilian Kirov will lead the Orchestra in a charming program of 19th- and 20th-century masterworks, including Béla Bartók’s Rumanian Folk Dances for Orchestra; Maurice Ravel’s Le tombeau de Couperin; and Johannes Brahms’ popular Hungarian Dances Nos. 5 & 6. Talented 16-year-old violinist Amelia Sie, who hails from Bellevue, will also perform the first movement of Sergey Prokofiev’s virtuosic Violin Concerto No. 2 in G minor. 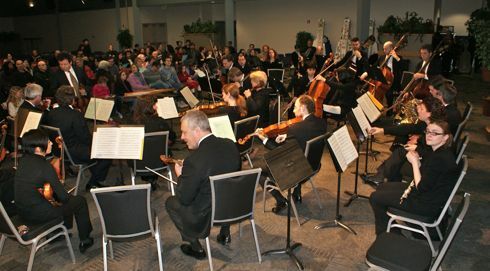 For the seventh time, the free Community Concert is hosted by Kiwanis of West Seattle and presented as part of the Seattle Symphony’s Community Connections program, which is partially supported with funding from the Seattle Office of Arts & Cultural Affairs, 4Culture and ArtsWA. Special thanks to The Bank of America for its corporate support of Seattle Symphony community programs.